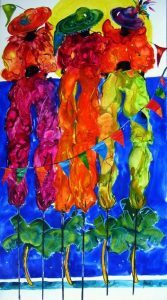 Leatha’s personal journey into art is guided by her spontaneous desire to capture the beauty and elegance of her surroundings whether it is in a landscape or still-life. Many of her paintings reflect her personal interpretations of her travels throughout Europe. The bold use of colors and light draws one into her impressionistic landscapes. Semi-abstracted studies of everyday scenes and nature create a sense of nostalgia and tranquility. Besides canvas and color, it is evident in Leatha’s paintings that her imagination and emotions are her most essential tools. 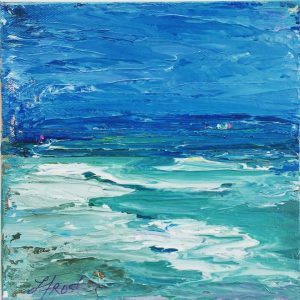 Her work can also be seen locally at Beach House Gallery in Dunedin or on her website. 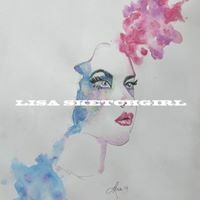 Lisa is a self taught artist from Long Island, New York. She likes to sketch people, especially hot famous ones. You can follow her art adventures on Instagram. Cassy uses oil based paints to recreate the beauty she sees in our world. 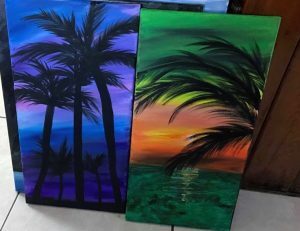 She paints the things that inspire happiness in her heart by putting her own twist on things. You can currently only find her art at our cafe. Art has always been a major part of my life. 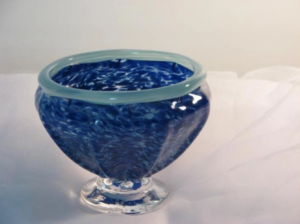 In the beginning of 2014 was when I found out about the art of glassblowing. I was instantly drawn to the intensity of the art form.